The Historical Society of Haddonfield has been awarded a $1,836 matching grant from the Conservation Center for Art and Historic Artifacts for collections care. Over the last two years, the Society has been awarded $15,758 in CCAHA services and matching grants through the CCAHA’s Philadelphia Stewardship Program, which is funded with the generous support of the William Penn Foundation. The latest award will allow the Historical Society to purchase computer hardware and software, a dehumidifier, UV light filters and supplies for monitoring insects, labeling artifacts, rehousing archival collections and responding to emergencies. 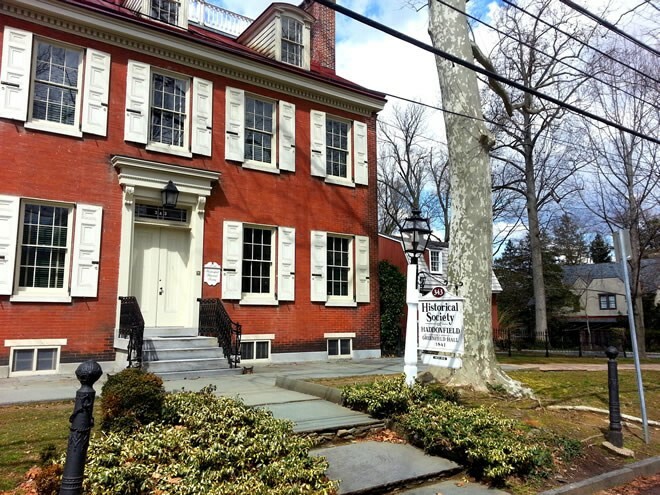 The Historical Society of Haddonfield was founded in 1914 and is committed to collecting and preserving the unique artifacts, documents, photographs, and other collection materials that help tell the history of Haddonfield and its environs in South Jersey. CCAHA is a nonprofit conservation facility specializing in the treatment of works on paper, photographs, and books through conservation and state-of-the-art digital imaging services.